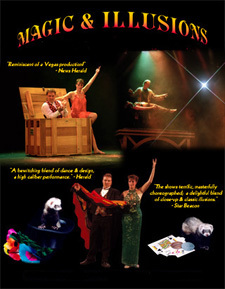 Magic & Illusions offers a number of different magic performance styles. Performance styles include Close-up, Strolling, Parlor, Stand-up, Cabaret, Theater and Lecture Series magic shows. International performing Las Vegas headlining act.